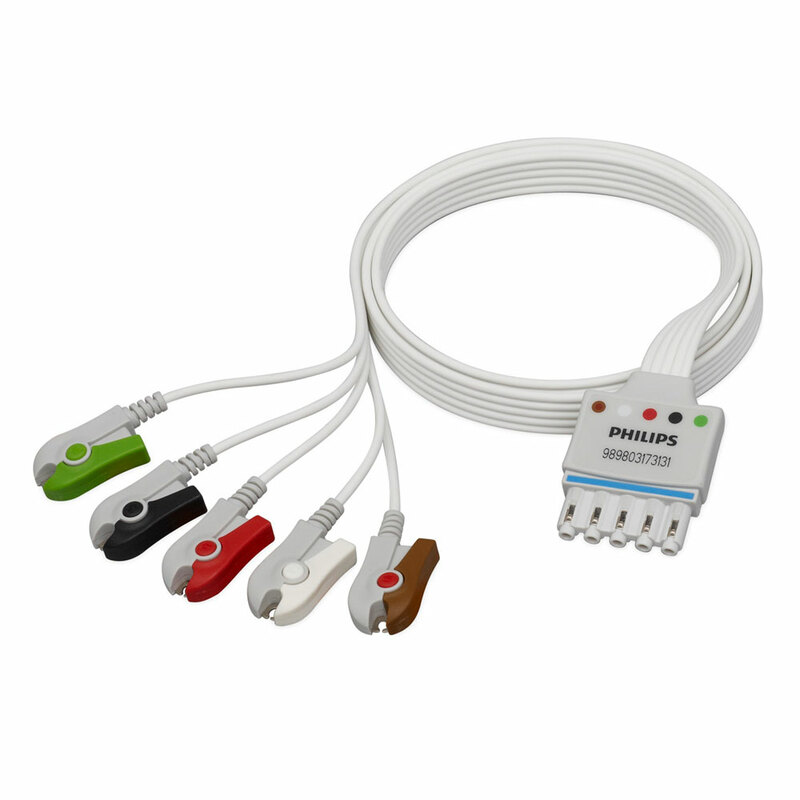 Philips ECG 5-Lead Disposable Cable for use with the SureSigns VM Patient Monitors. Use with VM6, VM8 monitors. Length 1 meter. AAMI color-coded. Use with trunk cable M1668A. Box of 20 single wrapped lead sets.